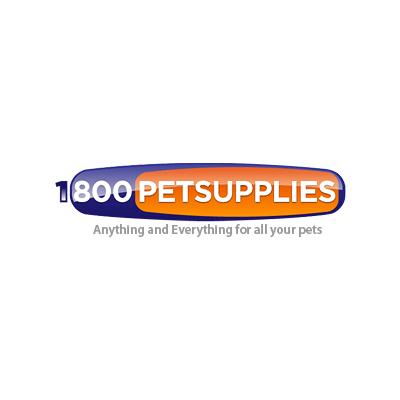 1-800-PetSupplies has everything you could possibly need for your pet. They are the parent company to a large variety of pet-related websites, which gives them the largest selection when it comes to shopping for pet supplies. They have your dog, cat, bird, ferret, and fish covered. For dog and cat owners, 1-800-PetSupplies offers nutritious food, supplements, beds, crates, toys, and treats. For bird owners, 1-800-PetSupplies offers bird cages, bird play gyms, food, grooming supplies, and health supplies. For ferret owners, 1-800-PetSupplies offers a multitude of ferret toys to keep them entertained, ferret beds, hammocks and sleepers, food, and treats. For fish owners, 1-800-PetSupplies has a large range of high quality fish items. They range from tank and aquarium supplies, aquarium decorations, aquarium lighting options, fish food and supplements, and everything you need in order to maintain your fish tank and keep it clean. With their discounted prices, low shipping fees, and endless selections, you will never need to go anywhere else to shop for your sweet pet! An 1-800-PetSupplies gift card is the perfect gift for any pet owner out there. Your acceptance of this eCertificate constitutes your agreement to these terms and conditions. This card is redeemable in U.S. only for merchandise on www.1-800-petsupplies.com. Only two eCertificates are redeemable per order. eCertificates cannot be redeemed for cash, except as required by law. Void if altered or reproduced. This gift card is issued in U.S. funds by Tabcom, LLC. When Redeeming online please be sure to enter the entire gift card number including preceding zeros. The maximum number of eCertificates that can be used for phone is nine.